We smoke our fish on site using a traditional method with local materials. 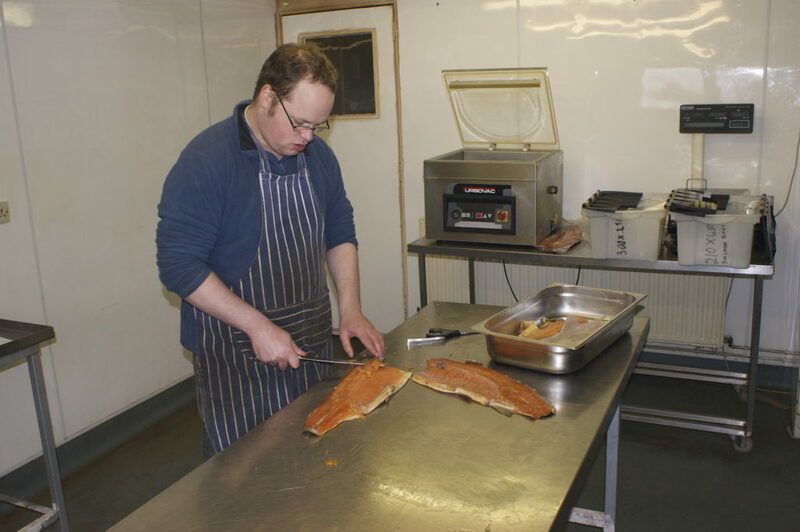 We smoke a whole host of fish, the most common being the trout we grow on site. Our salmon gets shipped down from Scotland and our mackerel and other sea fish comes up from the south coast day boats. There are two different methods of smoking, cold smoking and hot smoking. This is an age old tradition of enhancing flavour and extending a product’s shelf life for time where fridges were not around or fish was harvested at a certain time of the year and had to last to provide the family over winter. Smoked salmon can be found in every supermarket and has found itself on peoples plates as an everyday food item. The sad thing is a lot of this salmon is factory farmed, rushed through the smoking process and has unnecessary additives added to it. 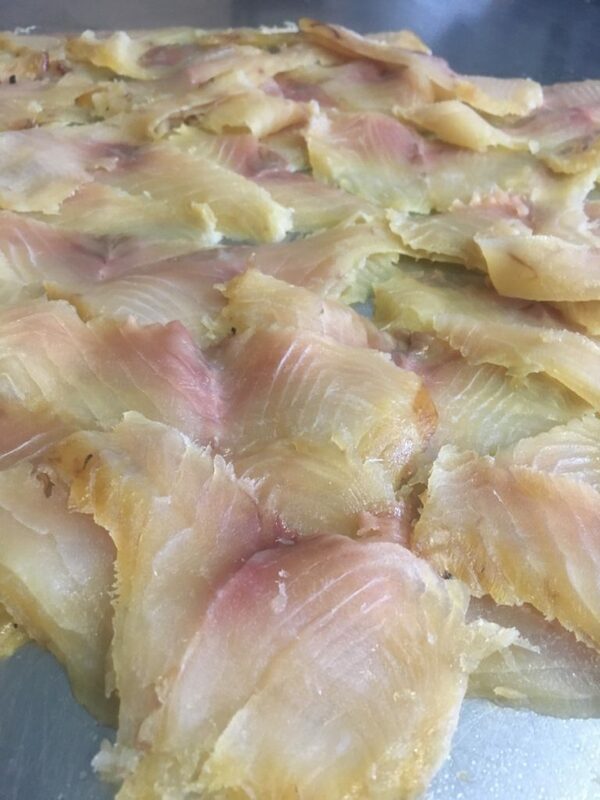 We only use 3 ingredients in our cold smoked fish, the first being the fish, the second being pure salt used to cure the fish, and lastly smoke. Are fish are filleted and cured with fresh pure salt for a specified period of time to enable them to cure – this means allowing the salt to saturate the flesh of the fish and draw out the moisture. Most bacteria breeds within this moisture, by drawing it during the curing process, we are preserving the fish. Once the fish has been cured all the excess salt is washed off and the fish are then placed into the smoker and cold smoked. Cold smoking means the fish are placed into a constant smokey environment, which is produced by piles of local smouldering untreated sawdust. We use mostly Ash and Oak dust here at Tillingbourne. The smouldering dust is placed way below the rack where are the fish are placed, so by the time it reaches the fish it has cooled down to a temperature under 28 degrees, hence the name cold smoking. The smoking continues the process of reducing the moisture content within the fish and adds that wonderful smokey flavour. We never add sugar to our fish, as this is used often used as quick cover to mask excessive salting used during the curing process. Are fish are either hand sliced and sold in packs, or left as a whole side you can slice yourself. The hot smoking process is slightly different as the fish goes through a brining process, this means the salt is mixed with water to create a brine solution and the fish are soaked in this for a period of time. This process reduces the moisture content and allows additional flavour to be added. 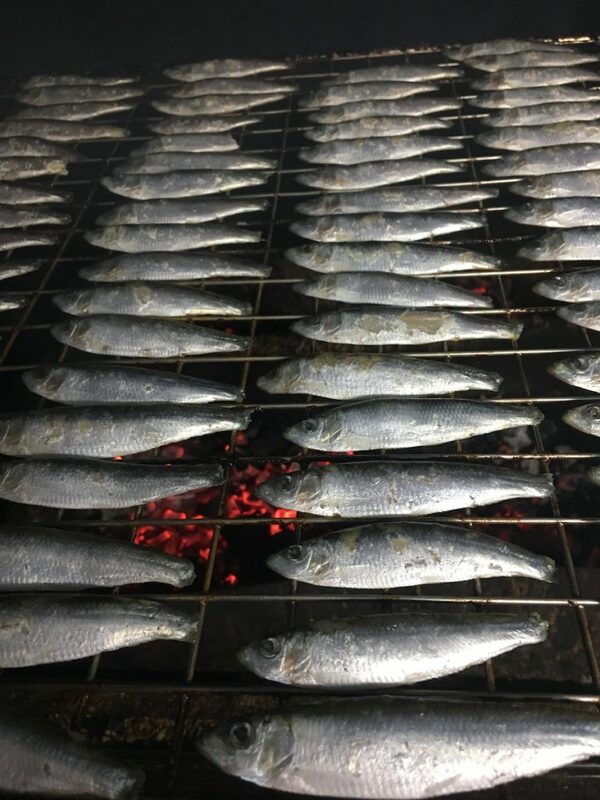 After being brined the fish are then placed on a lower rack within the smoker so they cook over the burning embers of locally seasoned hard-wood. We then fillet the fish and pack to your requirements. 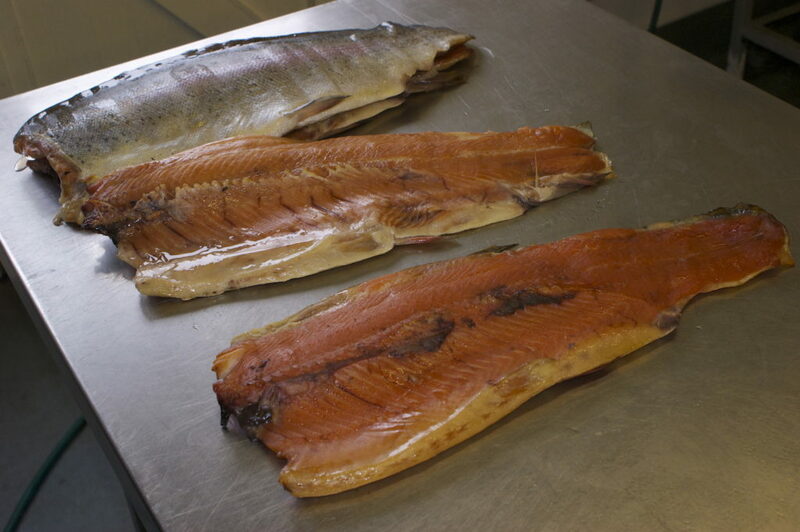 Typical hot smoked fish include trout, salmon pieces, mackerel and eel. 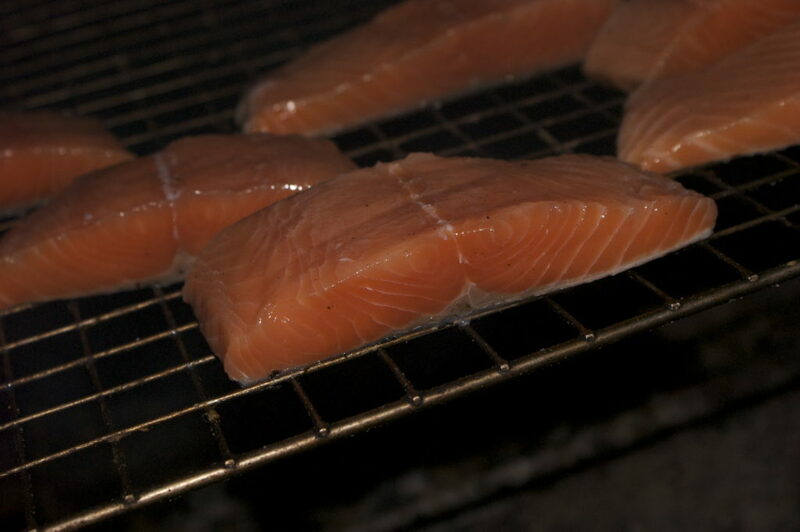 We also offer a private smoking service for any fish you have caught elsewhere, simply drop off your fresh/frozen fish and collect it one week later as a smoked product, ready to eat. We charge £10 per fish for cold smoking and £6 per fish for hot smoking.